PBA uses this blog to post individual articles from our monthly newsletters. Members can comment on these articles. The following article can be found in the latest edition of the Island Times. PBA encourages all members to reach out to your Congressmen and Senators -- if you want fee simple title you need to let them know! Island Times -- Congressman Jeff Miller introduced a bill March 18 in the House of Representatives that would give Escambia County the ability to offer Fee Simple title to beach leaseholders. The bill, which is H. R. 1452, is similar to the bill that passed the House in February 2014, except this bill has gained Senator Marco Rubio’s support. Last year’s bill passed the house and languished in the Committee. H.R. 1452 has been referred to the House Committee on Natural Resources which will consider it before sending it to the House fl oor for consideration. The Senate’s version, S 770, was introduced by Senator Rubio on March 18. This bill was referred to the Senate Committee on Energy and Natural Resources which will consider it before sending it to the Senate fl oor for consideration. After the court battles contesting the taxation of leasehold property and improvements made their way through the legal system, leaseholders were faced with the burden of paying both taxes and lease fees. The conveyance of Fee Simple title would in essence make leases void. When Santa Rosa Island was originally deeded to Escambia County, the County could only lease the land, not sell it. The restriction on use and conveyance would be lifted if this bill passes the Legislature. Included in the bill: Escambia County would have the ability to offer Fee Simple title to leaseholders but would not be able to charge more than it costs to administer the transfer. Leaseholders would not be compelled to take title. Escambia County will have to convey Navarre Beach to Santa Rosa County. Escambia County and Santa Rosa County shall in perpetuity preserve those areas on Santa Rosa Island currently dedicated to conservation, preservation, public, recreation, access and public parking in accordance with resolutions heretofore adopted by the Board of County Commissioners of each respective county. Pensacola Beach Advocates Governmental Affairs Committee Chairman Terry Preston asked fellow islanders and interested parties to contact elected offi cials to voice their support of the proposed legislation. Freddie Falgout in some ways is one of the lucky Pensacola Beach leaseholders. He only pays $150 and $165, respectively, in annual lease fees on each one of his two Via de Luna lots on which he has his primary residence and a rental property. So paying the fees on top of the taxes he's now required to pay Escambia County for his properties in paradise is not that hard on his budget, he said. A lot he's selling off is another story. "The lease fee on the lot is almost equal to the $1,250 in taxes I pay on it," Falgout said. "I didn't know that when I bought the lot. It was a surprise since I was paying $165 in lease fees on a lot with a house. So, I decided I'm not building a house on the lot. I'm selling it." Many beach leaseholders are facing similar hard financial decisions now that the Florida Supreme Court upheld the right for Escambia County Property Appraiser Chris Jones to assess taxes on Pensacola Beach land and improvements on the land on top of paying the original lease fees for which they signed on. Since that court ruling last year, residents and business owners, most of whom are facing paying thousands of dollars more annually since they began paying taxes on dwellings in 2004 and land in 2011, have been demanding Escambia County commissioners roll back or eliminate their lease fees, similar to what Santa Rosa County has done for Navarre Beach residents, and put an end to what they call "double taxation." Last week, Santa Rosa Island Authority, a beach resident, a commercial representative and Escambia County officials sat down to begin looking into immediate ways to address rolling back lease fees — $3.2 million collected on residential property annually and $4.7 million collected on a percentage of revenues commercial properties generate. The game plan is for the county to take over payment of basic services it provides every other county resident with the roughly $7 million in its share of taxes collected on the beach (the school board gets about the same amount), which the Island Authority provides with lease fees, such as repairing pot holes and cleaning and maintaining public park. The challenge is figuring out a way for the county to do this and still maintain "the cleanliness on the beach and all the different activities we provide beach and county residents and tourists," said Tammy Bohannon, Island Authority board chairwoman. Terry Preston, who serves on the Pensacola Beach Advocates governmental affairs committee, is representing residents at the lease fee meetings. 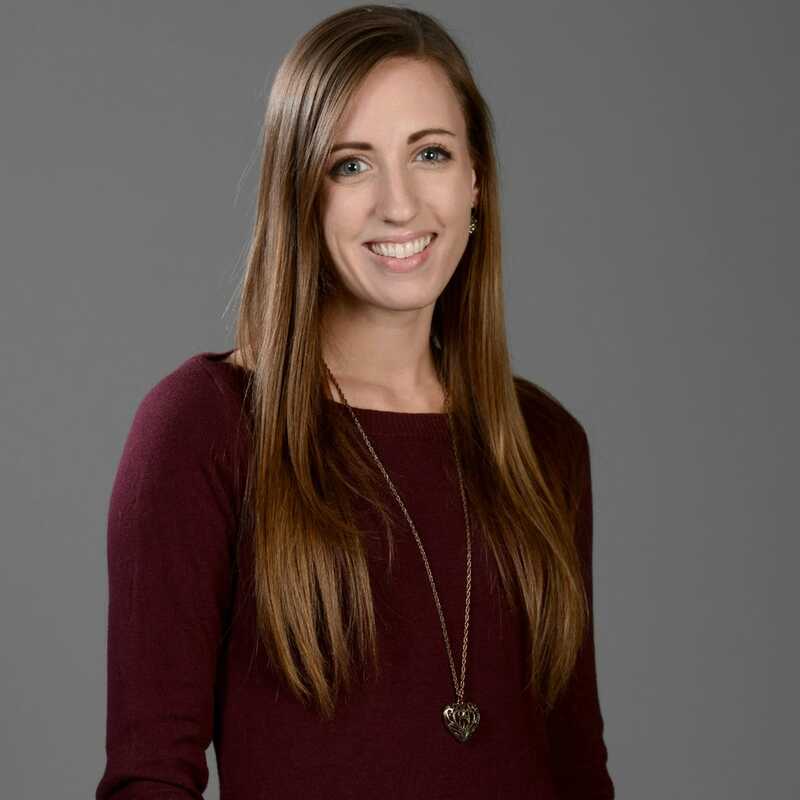 "The immediate goal is moving whatever we can out of the budget this fiscal year so they (SRIA) can reduce lease fees immediately, in my opinion," she said. "Can they eliminate fees? Maybe not." For instance, the Island Authority's $8 million annual budget, based solely on lease fees, provides everything from lifeguards, ambulance service and fire protection to cleaning streets, beaches and public restrooms, beach renourishment, salaries for 45 full-time staffers and 60 seasonal staffers, along with hosting some of the biggest events in the area. W.A. "Buck" Lee, Island Authority executive director, said there's only about three and a half hours a day when a maintenance employee tasked with picking up trash on beaches and maintaining public areas and cleaning restrooms is not on duty. That's how much work there is to do to keep the beaches ready for visitors, he said. Whether the county will pick up the tab on this same level of service the Island Authority provides will likely be a topic for debate, Lee said. Many visitors have come to expect a clean and safe beach. They are responsible for naming Pensacola Beach one of the top five U.S. beaches for a 2015 TripAdvisor poll last week, Lee said. Beyond the basics, figuring out how to pay for other services and events the Island Authority funds without lease fees gets complicated. Who, for instance, would pick up the $150,000 tab the Island Authority pays for the annual Blue Angels Beach air show and the $45,000 it earmarks for the popular Bands on the Beach concert series from April 7 to Oct. 27, Lee asked. Melanie Waite, with the Pensacola Beach Krewe of Wrecks, is worried that if lease fees go away, the Island Authority will no longer be able to support the hugely popular Mardi Gras parade on the beach. "We are really worried about the changes in the Island Authority," she said. "If not for the $23,000 they contribute for the (crowd) barriers, we could not control our expenses for the parade." And it could mean the end of the parade. Lee's also concerned about where sponsorship money the Island Authority provides will come from for events that attract visitors, such as the Songwriters Festival, Art and Wine Fest and Santa Rosa Island Triathlon. "All of this on the table," he said. "Nothing is written in stone and there are no recommendations yet." Ron Ellington works for Innsfree Hotels and represents Portofino Resort Developer Robert Rinke, Innifree Hotels founder Julian MacQueen who owns Holiday Inn Resort, Hampton Inn and Hilton Gulf Front, and Marilyn Hess, who owns Margaritaville Beach Hotel, Holiday Inn Express and SpringHill Suites at the lease fee meetings. These hotels pay the Island Authority a 2 percent to 5 percent fee on revenue from sales of things such as retail items, drinks, food and lodging. Hilton alone paid $504,000 on its sales in 2014. Ellington said they are looking to roll that back now that the hotels are paying hefty taxes. The people he represents understand their visitors expect a high level of service. This is the county's most-used park, and 70 percent of the people who come out here are local, he said. Ellington said residents in other parts of the county should be invested in what happens to the beach because they benefit from beach visitors. "Overnight beach guests generate 35 percent of the (local option sales tax) revenue," he said. "So they are contributing to infrastructure of the county." They pump 50 cents on the dollar into the economy on food, libations, museum visits and other attractions, he said. To be sure, Preston, who is looking for relief from her own $600 annual lease fee bill, said there will be hard decisions to make down the road as the Island Authority and Escambia County look for ways to pay for services not provided to the rest of the county. "We'll have to decide, do we want them or do we pay for them with alternative funding?," she asked. While the county looks at what it can take off the Island Authority budget, the Island Authority board hired the West Florida Regional Planning Council to help it analyze its operations and identify other possible funding sources to replace lease fees. One idea that has been floated at Island Authority meetings is a resort tax that could fund special events and beach projects, Lee said. Even more complex is figuring how to eliminate lease fees all together, Escambia County attorney Alison Rogers said. "It gets complicated when you're dealing with a situation like a condominium," Rogers said. "You may have a developer who has some interest. The association and unit owners may have some interest. Some things are purchased by holding corporations or trust. The list of possibilities is endless." 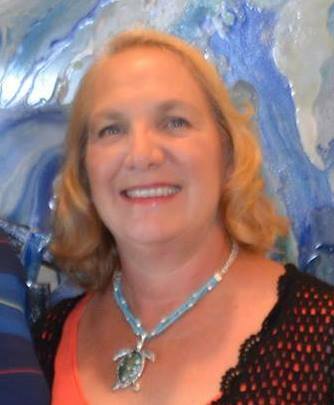 Bohannon has been leading the charge on figuring out how to deal with the master leaseholder issue because she subleases property in Lafitte Cove from a master leaseholder. "As a resident and having lived out here 30 years, of course I'm not in favor of paying lease fees and taxes because we were told we'd never pay taxes," she said. "Unfortunately, that's not the case. And unfortunately, there are many master lease holders out here that derive revenue by paying one sum to the Island Authority and charging their leasee another fee. I'm not sure how this is going to be untangled." Bohannon, a realtor, is paying a $2,000 annual lease fee and $6,000 in taxes on her home. She's managed to afford it, but she knows many people who can't afford the burden of the double taxation. Beach leaseholders and business owners have been hanging high hopes on obtaining fee-simple title to their land, which would absolve them of paying lease fees. The county has been pursuing that option through a bill U.S. Rep. Jeff Miller, R-Chumuckla, introduced in 2013. It passed the house and died in a Senate subcommittee. Dan McFaul, Miller's chief of staff, said the congressman plans to reintroduce the bill to the new Congress sometime this year. "It has to be updated and redrafted ... that's being done now," McFaul said. "We'll coordinate with the Senate to introduce it at the same time." Miller is seeking a senator to sponsor the bill. The bill, if passed, would also convey land that falls in the jurisdictional boundaries of Santa Rosa County, but is owned by Escambia County, back to Santa Rosa. This is all a moot point until all the litigation fighting taxation is settled. There's still lingering litigation opposing taxation of the land for Portofino Resort towers 1-5 and Beach Club Condominiums. Commissioner Grover Robinson III, whose district includes Pensacola Beach, is anxious for lawsuits to be settled one way or another because it keeps everyone in limbo. "That creates the uncertainty," he said. "Do we have taxes or not? I want a solution. That would be one way to move forward." While it's still a long way off, a fee-simple title, if passed, could create complex legal issues. "If and when we have to determine conveyance of deeds to property, that will be fairly complex," Rogers said. For instance, what will be the government process and legalities for buying or selling of beach property? Retaining a company to do title searchers can get bogged down in the bureaucratic process, she said. And what about those sublease holders who are paying taxes on their subleased property? There could be problems with them obtaining titles, Rodgers said. And there could be legal battles over the rights to the titles. In the meantime, Falgout hopes the double taxation issue won't spook his potential buyer. "He was concerned about double taxation," Falgout said. 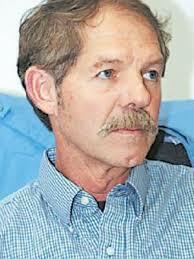 When Falgout explained the situation, "He said, 'I don't understand. So I have to pay taxes and leases?'" A question many residents of Pensacola Beach have been pondering lately. $3.2M: Amount of annual lease fees Pensacola Beach residential leaseholders pay the SRIA. $4.7M: SRIA fee collected from businesses on rooms, food, drinks and souvenir sales. 58: Master leases on such things as condominiums. $135: Lowest residential lease fee. $1.06M: Highest lease fee on the five towers with 765 units of Portofino Resort. $4,000: Highest single-family home lease fee. $504,000: Highest commercial lease fees collected from Hilton Pensacola Beach Gulf Front. $150,000: Amount SRIA pays to put on the Blue Angel beach air show. $45,000: Amount SRIA pays for April through October Bands on the Beach weekly concert series. $55,000: Amount SRIA gives the Pensacola Beach Chamber of Commerce for New Year's Eve and Fourth of July fireworks. $96,000: Amount SRIA gives Pensacola Beach Chamber of Commerce to pay two chamber staffers, including the CEO/president. $250,000: Amount SRIA paid to secure permits to restore sand on the Gulf side of Pensacola Beach. $8.5M: Amount Island Authority is paying Escambia County for a loan to pay half of the beach renourishment slated to begin this year. $200,000: SRIA gives to county's Pensacola Beach fire department. $70,000: For EMS ambulance service. $150,000: For Escambia sheriff's deputies for tourism season. $2.8 million: Cleaning parking lots, beaches, restrooms and picking up trash from 4 a.m. to midnight each day. $1.6M: Public safety, including lifeguard service. For Navarre Beach leaseholder Stephanie Lansden, paying a hefty lease fee on top of an equally hefty property tax on her Summerwind West condominium would have come to about an $8,000 annual price tag — a $4,000 lease fee plus $4,000 in taxes. But luckily she won't have to face that dilemma — hopefully, ever. After years of inconsistencies, litigation and questions of equitability surrounding lease fees and property taxes for Navarre Beach residents, the lease fee issue may finally have been put to bed by the Santa Rosa County Board of County Commissioners in the form of a completely new residential lease fee policy for the beach. The board implemented a new policy this month standardizing residential lease fees on Navarre Beach, capping fees at $250 per lease per year and providing what commissioners say is a fair solution not just to leaseholders, but to all residents of Santa Rosa County. "I'm happy with it," said Lansden, who has been dealing with the lease fee issue for years as a condo owner and president of the board at Summerwind West. "I'm hoping it'll put it to bed — I don't want to revisit this." With lease fees ranging anywhere from less than $100 to upward of $4,000 each year, county commissioners hope the policy will bring consistency to a longstanding, often controversial issue on Navarre Beach. The new policy will be retroactively effective Nov. 1, 2014, also eliminating an additional 5 percent fee previously charged for third-party rentals on certain leases. "The biggest problem that we had, and the leaseholders had, was the inconsistencies in the leases, and that was because they were negotiated at different periods of time," said District 3 Commissioner and Board Chairman Don Salter. "So our goal was to try to find a consistent lease fee policy that was fair to the leaseholders and also fair for the county as a whole." Though lease fees on Navarre Beach date back to 1956, when Santa Rosa County began leasing the beach from Escambia County, complications began to arise in November 2001 after Navarre Beach properties became subject to ad valorem taxes on improvements. The change was driven by Santa Rosa County Property Appraiser Greg Brown, whose understanding of the leases led him to begin taxing the land improvements. The issue went to the U.S. Court of Appeals and eventually the Florida Supreme Court, which both upheld Brown's notion that land improvements could be taxed on Navarre Beach. Brown said since leaseholders are privy to the same benefits as landowners, his position was that they should be subjected to the same taxes. "They can live on (the property), they can rent it, they can take mortgage interest on their properties, so they've got the same benefits and burdens as anybody else does," Brown said. "But they wanted to be in a special class and not pay taxes like everybody else, and that wasn't fair." In 2006, Navarre Beach properties became subject to property taxes on the land in addition to improvements, a decision also pursued by the property appraiser's office and upheld by the appellate and Supreme courts. With the addition of ad valorem taxes — commonly known as property taxes — to the lease fee payments, many beach residents cried foul against what they called double taxation. And despite the court rulings, groups of Navarre Beach leaseholders sued Brown and Santa Rosa Tax Collector Stan Nichols through various lawsuits from 2001-13, petitioning against paying property taxes on the leased land. The lawsuits were unsuccessful, with courts upholding the county's right to tax Navarre Beach properties. The county responded by implementing a lease payment credit policy in 2001, which gave leaseholders a credit on lease payments equal to any property taxes paid in full. "What we tried to do, we simply didn't think it was fair to have someone paying taxes and an additional lease fee above what the taxes would have been," Salter said. "So we adjusted the taxes to give them credit on the lease fee, not to exceed what the total taxes would have been." The lease fee credit policy remained in place for years, only recently suspended by the county on Oct. 23 based on input from the Attorney General's Office that such credits act as a tax exemption and are unconstitutional. This decision led the county to temporarily suspend collection of residential lease fees on the beach while county officials searched for an equitable solution for leaseholders. With an overall positive response from beach residents regarding the new policy, it seems the county may have accomplished just that. John Cottle, a senior attorney at the Becker and Poliakoff law firm in Fort Walton Beach who has represented the Summerwind Condominiums since 2009 in relation to the lease fee issue, said he's more than happy with the resolution. "It did two things that we wanted to achieve, which is to set the fee at something fair and reasonable and get the Summerwind owners out of essentially paying double taxation," Cottle said. "Secondly, it fixed the amount at a set amount that can't easily be modified going into the future." That fixed amount could prove to be beneficial not only to current leaseholders, but also in attracting potential buyers and creating a more stable real estate market, said Ira Mae Bruce, a realtor on the beach and a former county commissioner representing the Navarre district. "It's just been a conglomerate of different things, and it was very difficult for buyers to understand why their lease was less or more than anybody else," Bruce said. "This evens things out across the board." Even with the lease fee credit policy, lease fees on Navarre Beach are a substantial revenue source for the county, generating hundreds of thousands of dollars each year from the approximately 2,000 residential leases on the beach. As part of the new lease fee policy, Santa Rosa County agreed to dedicate all future lease fee revenue to Navarre Beach, rather than putting the money in the county's general fund as was previously the case. Between staffing Navarre Beach with lifeguards, maintaining beach facilities and keeping roads clear after storms, Salter said beach-related expenses take up about $650,000 of the county's budget each year. "There are a lot of additional expenses that go along with maintaining an island," he said. "So that's why it was important for us to commit the standardized lease fee to go toward those expenses." The net revenue produced by residential lease fees on Navarre Beach in 2014 was about $495,000, taking into account the county's previous lease fee credit policy. County Attorney Roy Andrews determined that the new fixed-rate policy would be essentially revenue neutral for the county, reducing the county's revenue by about $9,000 based on the amount generated last year. Though the $250 policy won't affect revenue, the county's decision to eliminate the additional 5 percent fee affecting about 700 leases is another story. The fee generates about $228,000 for the county annually, varying depending on the number of leases reporting the revenue. Elimination of the fee passed in a 3-2 vote, with Salter and District 5 Commissioner Lane Lynchard voting against it. "We'll be losing approximately a quarter million dollars a year that would be recurring over the years," Salter said. "So now we're going to have to try to find a way to possibly replace that money." 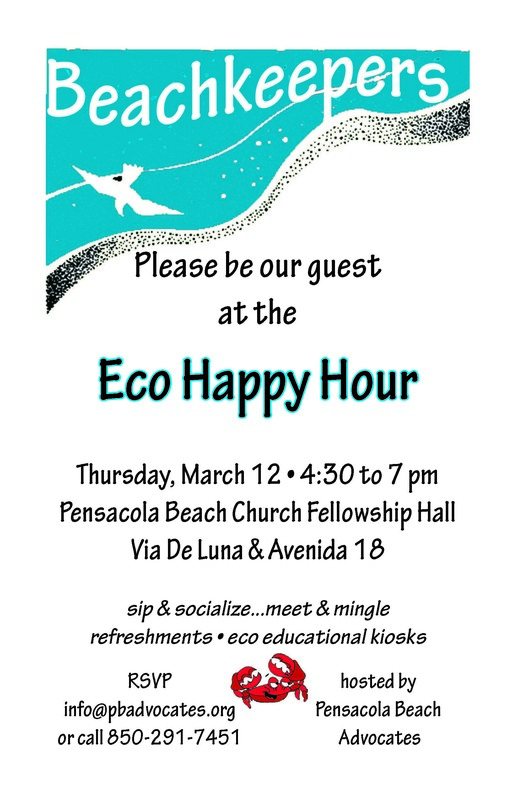 Pensacola Beach Advocates and our Beach Keepers committee are hosting an "Eco Happy Hour" on Thursday March 12th from 4:30 pm to 7:00 pm at the Pensacola Beach Church Fellowship Hall at the corner of Avenida 18th and Via de Luna Drive. Sip on some beer or wine and enjoy a few snacks while learning about the environment, wildlife, and local agencies. The Eco Happy Hour is a great opportunity for property managers, business and beach residents to meet and mingle in an educational setting. Jim Roberts from ECUA: available to answer questions and discuss more about "your trash"
PBA will be accepting membership dues for 2015 at this event - $30 per household. Door prizes will be given away which will include tumblers inscribed with PBA as well as gifts donated/purchased from local artists. Please RSVP so we know how many people to plan for. All preregistered attendees will be eligible for a door prize drawing. Beer, wine and appetizers will be served. For more information email info@pbadvocates.org or call 850-291-7451. The meeting minutes for the PBA Annual meeting held in October have been posted on our website. Outgoing President Terry Preston gave a synopsis of the projects that we worked on this year including: noise ordinance, sea turtle lighting and education; Earth Day event; beach representative on the Toursim board; Restore dollars; Party Down South; member survey; keeping members updated on tax and other beach issues. We heard a presentation on Rick O'Connor with Florida Sea Grant about various coastal environmental issues. We heard reports from our three standing committees - Government Affairs, Beach Keepers and Membership. The following people were elected to the Board of Directors: Ben Stevenson and Jack Cerone. Existing board members are Dan Smith and Liz Waters Hewson. The Board of Directors met earlier this month to elect officers and discuss goals and priorities for the year to come. Benjamin Stevenson will serve as President, Dan Smith will continue to serve as Vice President, Liz Hewson will be the Secretary and Jack Cerone is our member at large. One other board member had to step down due to work commitments. So we have one opening on the Board. If you would like to self-nominate please send an email to membership@pbadvocates.org. Committee Chairs (non Board members) are Maria Weisnicht (Communications & Membership); Glenn Windham (Treasurer); Terry Preston (Government Affairs) and JJ Waters (Beach Keepers). Our immediate past President of PBA, Terry Preston, will take over from Jim Cox as the chair for the Government Affairs Committee. They attend many of the local government meetings and provide input on issues of interest to the PBA membership. This committee has very important work in the next 12 months as we work with other stakeholders on the beach to determine the future of the island and SRIA after lease fees are eliminated. If you would like to be a member of the Government Affairs Committee please send an email to membership@pbadvocates.org. As we talk to beach residents and leaseholders, we find that there is still much confusion on the situation with taxation and lease fees on the beach and what our path forward looks like. We hope this article clarifies the issues for you. ALL Pensacola Beach leaseholders lost the lawsuit against taxes on IMPROVEMENTS in the Florida Supreme Court and were notified of taxes due in June. Navarre Beach residents lost both lawsuits on the improvements and the land. Based upon the advice of the attorneys after the Supreme Court decision, most of the Pensacola Beach leaseholders chose to ask their attorneys to dismiss the lawsuit on the land taxes as well, and began paying those taxes. Two entities, Portofino and Beach Club, with their associated leaseholders, have elected to continue the lawsuits on the land taxes. Any other lawsuits on the land taxes are being continued on a case by case basis. Over the past ten years, the County has collected $59 million in ad valorem taxes (excluding school taxes) from Pensacola Beach leaseholders. Very little of this has been used to support beach operations. Fee Simple Title would give current leaseholds title to their property. Fee-simple legislation was introduced to the U.S. House of Representatives and passed in 2014. It has not been introduced in the U.S. Senate as of this date. PBA sent letters to both Senators before the summer recess requesting that they introduce the bill. We have not received a response to date. We sent a newsletter to our members asking you to contact your Florida Senators encouraging them to sponsor such a bill. Escambia County Board of Commissioners claims to be waiting on resolution of the remaining land tax lawsuits before reducing or eliminating lease fees on Pensacola Beach. However they are holding land taxes in escrow to either repay lease fees or collected taxes depending on the outcome of the land lawsuits. The PBA Board does not feel that the County is escrowing enough dollars for condos - the calculation they use for the land portion of condo taxes (15%) does not reflect the percentages established in 2012 by a Portofino lawsuit. The Santa Rosa Island Authority is waiting for fee simple legislation before reducing or eliminating lease fees. They are actively seeking ways to continue operations with the existing organization intact regardless of fee-simple legislation. The Santa Rosa County County Commissioners are actively looking for legal ways to eliminate lease fees for Navarre Beach leaseholders, but they do not have a large bureaucracy like the SRIA to support with tax dollars. Escambia County and Pensacola Beach will have to come up with a plan on how to run and manage the island without lease fees. It’s a complicated issue because we have a combination of commercial leases where businesses pay a percentage of their gross revenues in lease fees, residential lease fees that range from $100 per year to $3000 per year and sub-leases where a master leaseholder pays the lease fees and charge a marked up rate to sub-leaseholders (in condos and some neighborhood associations). Adding to the complexity is that many of us feel that SRIA provides oversight and services that have helped to make Pensacola Beach a unique place where businesses and residents co-exist in a resort community. Will we keep an active SRIA with a smaller footprint? What services will a smaller SRIA provide? What services on Pensacola Beach will Escambia County pay for with our tax dollars? How soon can all this happen? How would a smaller SRIA be funded? How will reduction in lease-fees be passed along to sub-leaseholders? If the County prevails in the land tax lawsuits, how will they determine the amount of $ to refund to residential and business leaseholders? Pensacola Beach Advocates believes that we can and should start funding certain services through the County, and savings should be passed on IMMEDIATELY to leaseholders in reduced lease fees. We also need to ensure that where a Master Leaseholder is receiving the benefit of reduced lease fees, it passes that savings along to the Sub-lessees. At PBA's urging, the SRIA sent out a letter to all Master Leaseholders requesting information on the relationship between them and their sub lessees. Our Government Affairs Committee is already collecting data and examining these issues. We will be working with the business community on Pensacola Beach to make sure all of our needs are heard. If you would like to contribute your time and talent to this important committee, please contact us. Also visit the News & Issues page on our website (www.pbadvocates.org) for more information on all of these taxation issues. It’s time to renew your transponder. There are a few changes to the annual ritual, so please don’t wait until the last minute. All non-renewed passes will go inactive on December 31. In order to renew, an application can be picked up or downloaded, and filled out as necessary. Then, the application, a form of payment and the vehicle must be brought to the SRIA Office at #1 Via de Luna. The need for the vehicle to be available is so personnel can affix a 2015 windshield sticker to the car. The Bob Sikes Toll Facility is undergoing equipment and software upgrades which may not be complete until May of 2015. There are approximately 40,000 transponders total but only about 15,000 of those will be renewed during this time period. The cost to renew is $50 for personal vehicles and $70 for commercial vehicles. Cash, checks, money orders and credit cards are accepted for payment. Credit cards will incur a small bank fee. The renewal office is located in the SRIA lobby and is open Monday through Friday from 8:30 a.m. until 5 p.m. The sales office will be closed on all Federal Holidays including Veteran's Day (Nov 11), Thanksgiving (Nov. 27- 28), Christmas (Dec 24-25), New Year’s Eve and New Year’s Day. New transponders will go on sale beginning Monday, January 5. The hours of operation will also be extended during January. The Bob Sikes Bridge is owned by Escambia County and all toll revenues go to Escambia County, not to the Santa Rosa Island Authority. The money is used to pay debt for bonds issued by the county to four lane Via de Luna in 2002. According to a Pensacola News Journal article on 4/28/2014, the County currently pays about $1.5 million annually toward this debt, including the $600,000 paid by the SRIA from our lease fees. The remaining $848,000 not covered by the SRIA is funded through toll revenue from the Bob Sikes Bridge. On 4/29/14 the County Commissioners voted to terminate the agreement with the SRIA requiring us to pay $600,000 of that debt. The entire $1.5 million is now being be paid with revenue from the bridge. According to the Escambia County Comprehensive Annual Report for 2012, the Bob Sykes Bridge toll revenues were $3,454,000. $1.5 million went to pay bond debt and another $961,000 was spent for toll booth operations and maintenance, leaving a net profit of $1 million. Another source of revenue to fund SRIA operations after lease fees? Voters on Pensacola Beach will choose their elected representative on the Santa Rosa Island Authority during the General Election on November 4th. This is a non-partisan election. Make plans to vote – in person Nov 4th at the Beach Community Church or vote early starting Oct 20 at the Election Supervisor’s office or by absentee. You must be a resident and registered voter to participate in the election of this SRIA position. New voters can still register and vote in this election. Get more information on www.escambiavotes.com. With so many accomplishments on Pensacola Beach, I honestly don’t know where to begin. I have been an island resident for over forty years and operated a dental practice for thirty-seven years. My wife, Debbie, has been a teacher for 26 years at Pensacola Beach Elementary. My daughter is a UWF marine biology graduate. My son is a lieutenant with Escambia County Fire Department on Pensacola Beach. I, Thomas, am a former president of the original Pensacola Beach Residents and Leaseholders Association, former PTA President, church board member, Optimist Club member, one of the Krewe of Wrecks and PBYC founders, Elks member, PBA member, and Ivan survivor. But what is important is I have served the community for twelve years with the SRIA in an unselfish and unbiased manner. I have no special interests – not groups, individuals, or businesses. Pensacola Beach is the “Public’s Playground”. We choose to live here and therefore must share our playground. All the beach development is done; parcels of land are allocated. Balance and preservation are now necessary - balancing tourism, business, leaseholder and residential interests while preserving our unique community style. Escambia County receives approximately one-third of its income from Pensacola Beach’s existence. We lost our tax battle, fee simple ownership is on its way, and no one knows what the future holds. The Escambia County Commissioners - not the SRIA - are the ultimate decision-making authority. With the SRIA, I have forged and developed understanding among our Escambia County leaders. Combat is over; compatibility is emerging. We need experience more than ever as our governing style will certainly be changing. As your elected SRIA Board Member I have strived to do my best and to do my duty for the community we cherish. To continue to protect and preserve Pensacola Beach please vote to re-elect Thomas Campanella for SRIA. Thank you!!! It’s time for some new ideas on the Santa Rosa Island Authority, and I am the person who can think “outside the box.” I graduated from the US Merchant Marine Academy in 1978, received a Masters in Public Administration from UWF in 1992, and have spent over 35 years as a seagoing officer, program manager, EHS Director and business owner. In 2009, I joined the Pensacola Beach Advocates. As a member of the Governmental Affairs committee, I attend SRIA meetings regularly. Even though we are now all paying taxes on improvements, and many are also paying taxes on land, no-one on the SRIA is advocating to the County on our behalf for a reduction in lease fees to offset the taxes that we are already paying. Instead, they plan to wait for the land lawsuits to play out. We need to return to “Leave only your footprints” on the beach. Having been President of the PBA for the last year, I have been able to build consensus on issues like environmental protection with both residents and business owners. Continue the push to end double taxation NOW. At a minimum, lease fees should be reduced immediately and some county tax dollars spent to fund SRIA operations. Work with the county to define what the SRIA should become post-lease fees, while maintaining the levels of service that our visitors and residents currently enjoy. Work with business and government to achieve environmental and aesthetic improvements so that we only leave our footprints in years to come! For more information, please watch my three-minute video from the Meet the Candidates event on October 2. Or visit my facebook page. In addition to the Governor’s race, Beach voters will have an opportunity to choose the Florida Attorney General, Chief Financial Offi cer and Commissioner of Agriculture. Mike Hill and Jeremy Lau face off for State Representative in District 2. Escambia County Commission District 4 incumbent Grover Robinson, IV, is taking on challenger Michael Lowery. In 1983 Pensacola Beach residents earned the right to vote for one delegate to the Santa Rosa Island Authority Board. Thomas Campanella and Terry Preston are running for the SRIA seat. There are over 2,400 registered voters on Pensacola Beach. During the August 26 Primary Election voter turnout was relatively low with 436 voters from Pensacola Beach casting ballots. Getting registered to vote is easy. The League of Women Voters will be on hand at the Candidate Forum to register attendees. If you prefer, you can register online or in person at the Elections offi ce. Go to www.escambiavotes.com for forms or call 850-595-3900 for assistance. The deadline to register is October 6. The Pensacola Beach Optimist encourages everyone to attend the Candidate Forum. It is open to the public at no charge.